Appreciate the talents and gifts that are in others… Challenge yourself to do that on a daily basis. Compliment them when its needed and encourage people to be the best they can be and also appreciate that people are different and accept them for who they are… pride makes us resentful of another’s talent and gift. (3)Avoid taking all the credit. (4) Stop comparing yourself to others. With this quote in mind…. While competition can be healthy and stimulating, it’s nearly impossible to be humble when we’re constantly striving to be the “best” or trying to be better than others. Instead, try looking at yourself more. Remember, the ultimate goal isn’t to be better than anyone else, it’s to be better than the person you used to be. When you focus your energy on improving yourself instead of comparing you to everyone else, you’ll find that it is much easier to make yourself better since you don’t have to worry about whether or not you’re better or worse than anyone. It is not all about you while engaging in a conversation, discover what others have to offer and ask for their opinions before opening your mouth. It shows that you value their opinions as well as their insight. This is another great way of appreciating others more and being more humble. The next time you engage in a conversation, let the other person talk, don’t interrupt, and ask questions to keep the person talking and sharing. Though you should contribute to the conversation, make a habit of letting others express themselves more than you do so you don’t act like you’re only concerned with the things that are going on in your life. (8) Have a teachable spirit. I hammer home this point when it comes to people who are in management positions… examples MDs, CEOs managers and so on…. Nobody is perfect or the best at anything always adopt this mindset ” I do not have all the answers”. There will always be people who are better than you at something, and there lies the opportunity to learn from them. Find people you aspire to be like in certain areas, and ask them to mentor you. As soon as you cross the line of being ‘unteachable’, bring yourself back down to earth again. Being teachable means that you admit that you always have more to learn about life. It makes you grow and become a better person. A big part of being humble is respecting others, and part of respecting others is helping them. Treat other people as equals and help them because it is the right thing to do. We are all unique in our own ways no one is superior or inferior to next person. . It’s been said that when you can help others who cannot possibly help you in return, you have learned humility. Helping people in need will also make you appreciate what you have even more. .
What are the practical benefits of humility ? If you are humble you have better relationships because you accept other people for who they are. Your relationships are genuine and healthier because you don’t expect anything from others. You are normally yourself and only expect the same from those around you. Humility allows no room for ulterior motives. Instead, the emphasis is placed on the greater good of the relationship. If you are in any leadership position be it manager, pastor, CEO, chairman ,MD and you have the humble leadership skills that is not feeling superior to everyone, you look to approach others on the same plane even though you hold a position of authority…. You’re also more likely to listen to other people’s suggestions, and be more open to criticism and feedback. This means that you’ll make better decisions, because you’ll gather more information, and you’ll be able to see things from other people’s perspectives. Because of this, team members will feel that they can approach you with their concerns. Through admission of your mistakes, acknowledgement of the strengths of others and improvement of those around you, as a humble leader you are better suited to model your followers to generate successful results. If your subordinates or followers see you as narcissistic, that is one with self –centred motives they will work far less hard towards achieving those goals, because they will not see it as something for the greater good of the establishment. Representing one’s self in a manner than is accurate; being aware of one’s strengths as well as one’s weaknesses. When we have humility we are able to see ourselves for who and what we really are. And this allows us to have both the confidence to make the most of our strengths as well as the prudence to accept our weaknesses and also learn to manage them the best way we can. Humility affords us the capacity to go beyond the passions of our ego and create a self that is authentic. 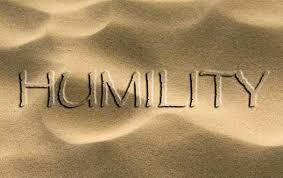 When one has humility, there is NO need to put on airs or to be in need of validation from others. Humble people will be better-suited to understand limits — whether it be to their own or a specific situation’s benefit. With more focus on the context of a situation than their personal pleasure, humble people will understand that everything has its own time and place, in moderation. When you are humble you are aware of your weaknesses and are willing to learn and improve on yourself, you are ready to listen to feedback and open to modify ideas if there is contrary evidence and debate that are persuasive enough, in other words you are open minded… Also as a leader you might be willing to allow anyone to have any say that goes against your will for the direction of the organization—new hires, crafting a mission-vision-values statement, or work priorities, or daily activities. In religious humility you might actually believe that others might indeed be wrong theologically. However, you still treat the other as a respected equal with important opinions and beliefs, and you are willing to consider the possibility of error, and thus might learn from or be corrected by the religiously different person. One example of being humble is not to tell your positions or achievements boastfully in public, it is not about hiding your identity but give them a chance to know you, from others or from their observations. Why? If you tell who you are in the first place, they would treat you nicely and special, but if you let them know you as a simple person, they would treat you naturally and equally. You will have chance to know them. Treating naturally is the best way for you to know who the people you should deal with or not, and it is the best way who is telling the truth and who is lying. In this way you will know who should give your trust for those who treated you nicely without knowing your positions, rather than those who provide “dog-smiles”. In the end, they will be shy for their wrongdoings (depends on the personality of an individual) or they would be grateful about their great personality. Living a simple life and being down-to-earth not only gives you a good social life. It also helps you earn the respect of other people. When you are humble you avoid giving praise to yourself as much as you can. Appreciation and recognition of your abilities normally comes from other people. As the saying goes, respect is earned and not demanded. When people start taking notice of your good qualities without you asking them for it, humility has done its job. Living a humble existence keeps you away from the stress and pressure of trying to prove yourself by always attempting to outperform others simply to gain a certain amount of popularity, power and respect. It relieves you from the notion of being a lot more significant than what one has to be. Humility keeps you grounded and makes you feel comfortable of who you are without lacking self-confidence. Let’s admit it. Would you rather be talking to arrogant pricks that do nothing but talk about themselves and their never-ending list of achievements or talk to people who actually listens to your ideas and uplifts your spirit? Humble people are good listeners because they are more concerned with how they can help the other person than keep singing praises towards themselves instead of waiting for others to do it. Humility is greatness because it is rare. It is rare to really see ourselves as we are, while keeping perspective of what we are not; what we have worked for, and what we have been given. Humility is a great virtue but like any virtue it doesn’t come easily. Why do I say this… you all have a theoretical or biblical concept of what humility is, but what is humility in practice? Is it genuinely thinking less of yourself? Is it trying to sound less prideful than you actually are? Or is it something else—something deeper? I really think that most of us feel that humility is in the big things that we do, when in reality it is what a man or woman does in their day to day life that shows their true heart on the matter. So what is humility according to the British writer C.S. Lewis — ‘True humility is not thinking less of yourself; it is thinking of yourself less. Self-deprecation, letting others “push you around, being a doormat, a sucker, or letting people “walk all over you.” It’s not constantly sacrificing your interests to those of others (and then feeling like a victim or a martyr). It’s not avoiding conflict or confrontation – not of your making, anyway – for the sake of “being nice.” It’s not about hiding your feelings or suppressing your views to avoid alienating others. Real humility leads a person to be curious about and concerned for others, not fixated on how others can lead to one’s own enrichment. Humility is putting others first in thought, word, and deed. It resists the temptation to self-aggrandize. It’s easy to feign interest in another person if there’s something in it for you, like a job promotion or increased recognition. A person with humility is in it for the long-term common good, not short-term self-interest. Examples include helping people because of who they are, not because of their position. Fawning, fake humility is ingratiating, not giving. It pretends to be generous, but in reality it’s self-centred. Take the humblebrag. (false modesty) When asked to identify a personal weakness, a humblebraggart might say, “I’m always working too hard for everyone else. Humility is often erroneously portrayed as poor self-esteem, but in fact it’s the arrogant who have a distorted sense of self. Arrogant people have an exaggerated view of their own contributions, and limit the good they might do by clamouring for credit. In admitting an error or acknowledging that one is wrong, the humble person not only apologizes but also changes course. They are receptive to constructive criticism and actively seek it because they know that feedback is a pathway to improvement A person pretending to be humble might say a half-hearted “sorry,” if in the wrong but stubbornly continues down the same path. They get all defensive when given feedback they assume they know it all. Humility is all about having an open mind and believing we do not have all the answers.. we respect other people’s opinions as we are all unique and see the world in different colours… we are always in the process of learning even though we have tried it before… another word for it is humble intelligence….. We are open to being filled with the knowledge and opinions of others. Humility is a kind of hunger for more abundance. The greater our humility, the greater our fascination with the world around us, and the more we learn. Do you truly listen when someone speaks or are you preoccupied on what you are going to say next? Do you always want the topic to be all about you all the time and loose interest when you have no stake in the conversation… In your communication with others, are you and your ideas the only topic of interest to you? There’s nothing more annoying that being in a conversation with somebody who you can just tell is dying to get his or her words in. Just looking at some of their non-verbal cues, is a sign they are not listening but rather waiting to speak. Why? Because they believe that what they have to say is more valuable than listening to you. In other words, they’re placing their self-interest first. Humble people, however, actively listen to others before summarizing the conversation. Moreover, humble people don’t try to dominate a conversation or talk over people. They’re eager to understand others because they’re curious. Doing things so others will notice you is another way of checking whether your motives are truly humble or not… Of course we all want recognition on some level. While recognition is not a bad thing, if it becomes our source of motivation for taking on a goal or task or altruistic acts then its false humility because if you are not recognised for those acts you get disappointed which leads to stress and conflict…. Meaning you are basing your self-worth on how others see you. It is possible to be confident in yourself and humble. They actually complement each other very well self-confidence is not the same as being ‘cocky’. Humility and Confidence actually go hand in hand. A truly confident person is also humble and a truly humble person has the confidence to be so. Humility does not believe in superiority or inferiorly it believes that all humans are unique and part of the universe.. Humility looks like saying, “You may be right,” or, “I can understand how you could feel that way.” Humility looks like an open acknowledgement that we don’t have it all figured out, that we’re all doing the best we can, that none of us are better than the rest of us, and that ours is not a better way, ours is merely another way. Humility is about emotional neutrality. It involves an experience of growth in which you no longer need to put yourself above others, but you don’t put yourself below them, either. Everyone is your peer – from the most “important” person to the least. You’re just as valuable as every other human being on the planet, no more and no less.